If the unassembled parts are coming in via container, why locate next to the airfield? Too hard to build something near the pad? Maybe rent is cheaper out at the airfield? Presumably it's also less hassle to assemble the parts near the airfield and then ship completed rockets to the pad in one piece rather than stockpile stuff at the pad where it would only get in the way come 'business time'. Also building would be vunerable in launch failure. And also rather pragmatically, there's business park associated with WFF who's development started a couple years ago so all of the infrastructure is already in place, and I wouldn't be surprised if they were able to get some local incentives as well. And while it's 10 miles, that's a pretty rural area so transporting over road from mainland to island shouldn't cause that much of a commotion. They will actually be the first building to go up in the research park. I'd be very surprised if the incentives they received didn't come with a "Must build in the research park" caveat. I could be wrong, but I know the county really wants the research park to get built out. Here is some good layout info: https://www.co.accomack.va.us/businesses/wallops-research-park-information/proposed-park-layout . Google maps has some good views too. 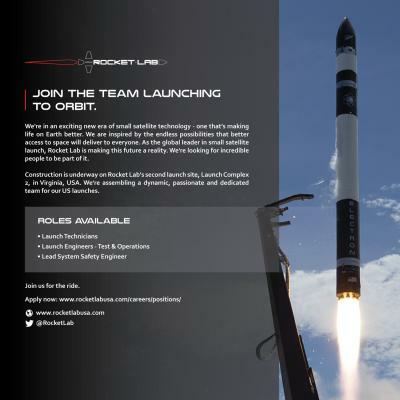 As someone that lives and works here on the DelMarVa peninsula I'm very excited to see rocket labs coming to the area. My career started at WFF and my current employment is directly linked to projects that started at WFF via the sounding rocket program. More aerospace is always a plus for an area that really doesn't have much going for it otherwise in terms of good engineering jobs. I'm having trouble picturing where this new pad will go. The discussion suggests that it will be between LA 0-A and 0-B, but there is a building and a road there already. Shouldn't this be 0-C? The area where they were doing the ground breaking ceremony (based on pictures a friend posted on facebook as I can't find a replay of the video which I seem to recall showed the ground breaking area in a fairly decent way right at the begining) is circled in the attached image. Not sure if that is where they're going to put the pad exactly or not. Should know really soon though. My father-in-law may know as well as he works out on the island fairly often. 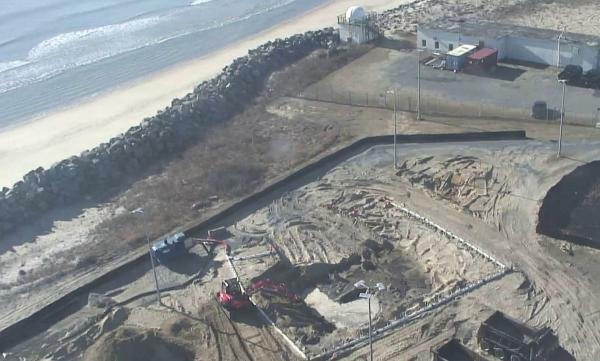 I'm watching this video (https://www.wmdt.com/2018/10/wallops-flight-facility-becomes-first-us-launch-site-for-rocket-lab/) and the ground breaking ceremony definitely took place in the area that I circled. I can 100% confirm that given the video. Now the question becomes is that were they are actually going to build the pad? Can't say for sure, but seems likely enough. So... that basically means the end of Antares? I know it was probably coming based on NGIS lack of interest in it, but this seems like a stealthy way to reveal it by Wallops. I don't see how both launch pads could co-exist that close to each other. No reason they couldn't. Rocket Labs' NZ launch pad is fairly tiny. LC-39C sits inside of LC-39B's fence at KSC the same way. My guess is this has to do with the Environmental Impact Statement. The EIS probably only covers very specific places, so unless they want to wait 18-24 months for a new one, then they have to work with what they have. LC-39C is completely notional at this point. And RL's launch infrastructure is not as tiny as you think. The NZ launch pad infrastructure is in a ~800ft by 250 ft box. Could they move things around? Sure.... But this is not a mobile trailer launch like "Vector". Later this year Electron will lift off from this very spot - Rocket Lab Launch Complex 2 at Wallops Flight Facility in Virginia! Construction is underway on the pad, plus the Integration and Control Facility which will support the simultaneous integration of multiple Electrons! Just in case anyone's looking for a job, RL are hiring. 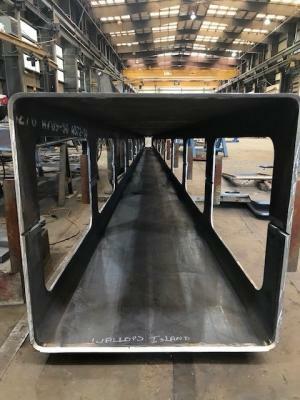 The strongback for Launch Complex 2 in Wallops Island, Virginia is coming along nicely. We can’t wait to watch Electron lift off from LC-2 later this year. 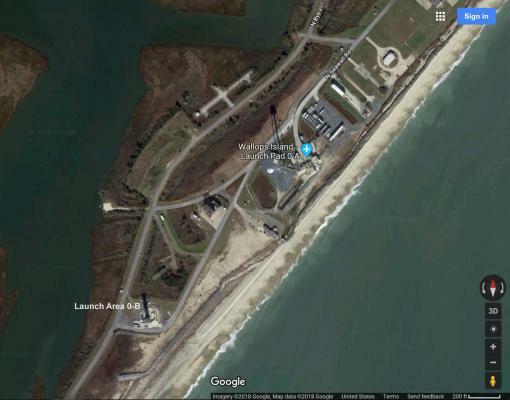 So what should this pad be called within Wallops' existing pad numbering system? There's already an old LC-2 there (the Scout pad IIRC). Maybe "LC-0A-2" since it shares infrastructure with Antares' pad? LC-2 is the current WFF launcher for Atlantic sounding rocket flights of the Zombie sounding rocket family. Unless they pull the 39C hat trick LP-0A-2 seems appropriate for MARS naming system (WFF uses Launch Area (LA - suborbital) and Launch Complex (LC - mostly orbital)) since LP-0C site exists on maps but has never been built.